Pixpet.net is designed to be an online game and community for pet adoption, collectibles and fantasy lovers. Register now and join for free! Like what you see? Support pixpet and get ingame rewards every month as well as a word in the games future development! Decorate your house to your heart's content with precious decorative objects or focus on gathering as many different and rare Pixpets as possible! 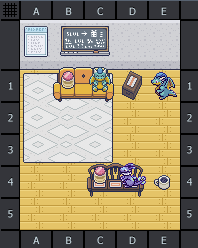 The goal of the game is to expand your house so that you have enough room to give your pets a cozy home. In order to expand your home, you have to send your Pixpets on hoards to gather new Pixpets eggs and objects which can be sold on the market. Grow plants and pumpkins in your garden and brew potions which you can give to your pets to increase hoard success. Pixpet is free to play with additional benefits given out to our Patreon supporters. The Pixpets hatch from eggs and feature a level which ranges from 1 to 100. In order to increase its level, a Pixpet must gain hoard experience through successful hoards. Satisfy your Pixpets' needs and give them potions to increase the success of their hoards. You can also evolve them by giving them delicious evobars, that you need to craft! The Pixpets are assigned to 16 different color groups. Each individual Pixpet has one assigned color. 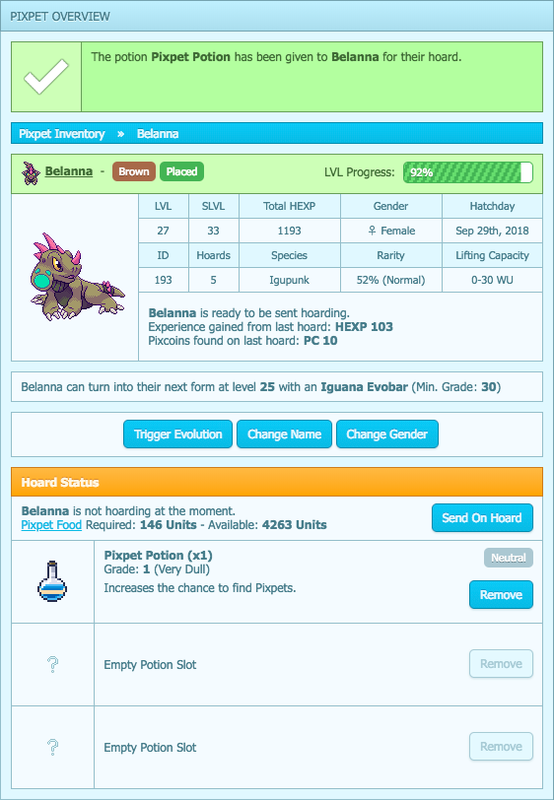 However, Pixpets can change their color with Evolutions or Devolutions. 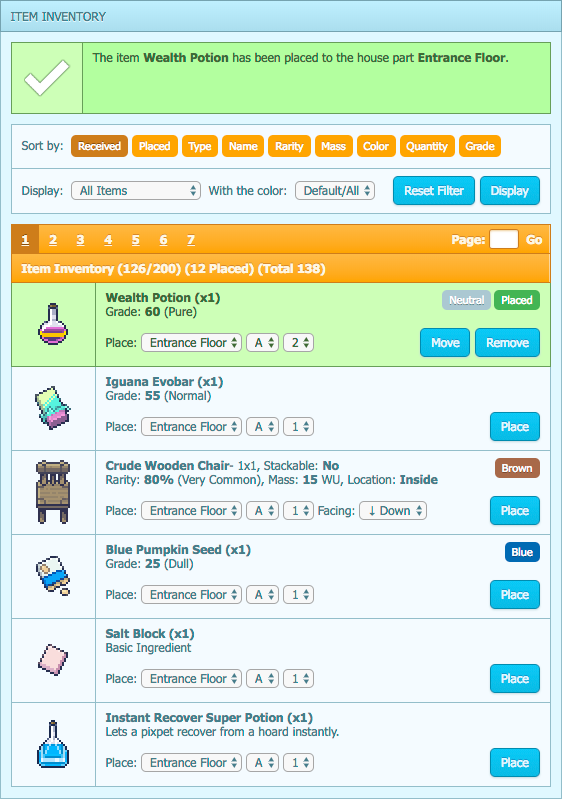 The color decides over what kind of items a Pixpet can find in its hoards. Finally! New Ground Cover objects have been added to the game: Rugs! 16 individual rugs can now be found and placed inside your house making it double as cozy. The rugs come in many different shapes and sizes. Each color has its own rug with varying rarity. Have fun hoarding for them! Aside the storage boxes, there is now a new way to expand your inventory space! 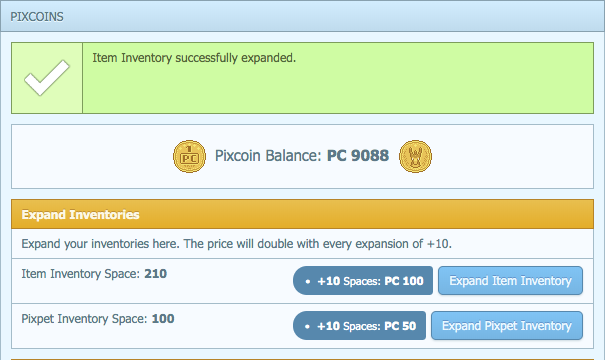 At the Pixcoin page you can now pay pixcoins for inventory expansions in +10 increments. 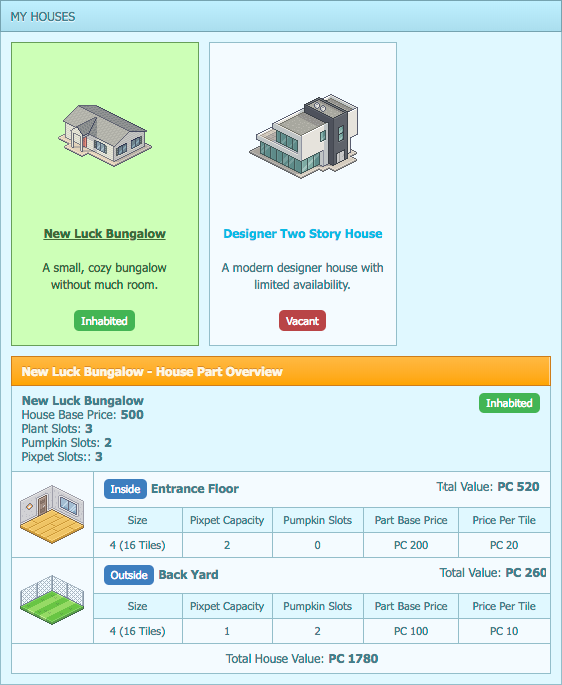 However, the price will double with each increment (Individually for the Item and Pixpet Inventory) starting at PC 50. Please note that this feature will only be available for Patrons until testing phase is over! As a lot of you probably noticed, mysterious Easter Eggs could be found since yesterday on Pixpet! Some of them hatched until now and they were revealed to be a new Pixpet! Shluppbunnies are the first species of Seasonal Pixpets. Pixpet wishes to all who celebrate a Happy Easter and a very nice Sunday to everyone!